Tired of Santa wrapping paper and pre made bows? Expert Gift-wrapper Corinna vanGerwen shares with us her tips for festive gift-wrapping ideas that might even make the gift recipient think twice about ripping it apart. What’s the secret to a beautifully wrapped gift? Three things need to come together to create a truly fabulous gift that will impress your friends and family: (1) material selection, (2) appropriateness to the occasion and/or the recipient, and (3) craftsmanship. Now, the materials don't have to be expensive or fancy; they just need to work together and have a nice aesthetic quality. You have to think about colour combinations, pattern, texture, proportion, etc. Draw inspiration from the occasion or the person you're giving the present to. The classic example is white or silver paper for weddings, but you could also add ribbon in a colour from the invitation (which likely indicates the colour theme for the entire event). Another example would be to wrap a present of books for a voracious reader in paper with letters and words stamped onto it. By craftsmanship, I just mean that the folds should be tidy and the corners crisp, and the ribbon ends shouldn't be frayed nor the tissue wrinkled. Even if you get the other two parts right, if you've done a sloppy wrapping job or your materials are in bad shape, the impact can be lost. What inspired your gift-wrapping business and classes? I've loved gift-wrapping all my life (paper is an obsession of mine), but my business is still less than a year old. I started writing my blog and offering workshops because I want to inspire people and show them how easy it can be to create a pretty package. Gift-wrapping can be a very non-intimidating way to get creative – it is just a present, after all. I also offer corporate services wrapping gifts for clients and events, and will supply props for advertising, film and editorial work, as well as retail displays. How should one deal with wrapping odd shaped items? The easiest option is to put the present in a gift bag or box. But it's more fun to receive an odd-shaped gift – you wonder, "What's inside?" If you want the awkward shape to show, try a few layers of tissue paper, which is easier to form around an object than regular paper. How should we wrap gift cards or cash? 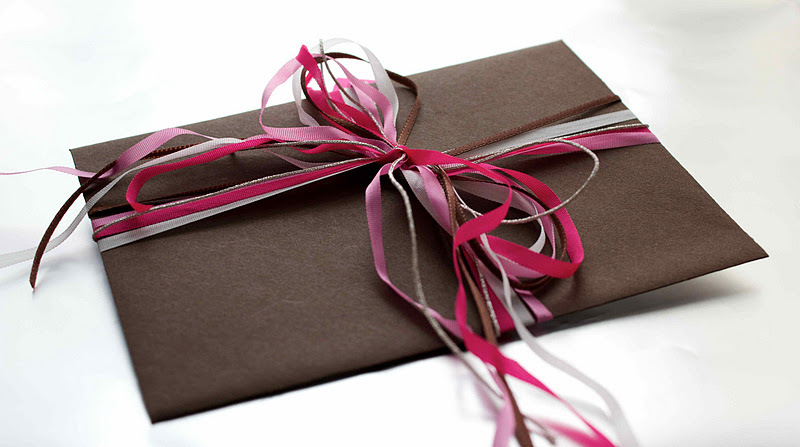 Simply decorating the envelope can make a gift card or cash seem less like a last-minute gift. Tie a bow around the envelope with some luxe silk ribbon, for example, or add some nice stickers (there are tons of neat designs in the scrapbooking section of crafts stores). It's about showing that you put some thought and effort into the gift and didn't just pick it up on the way. 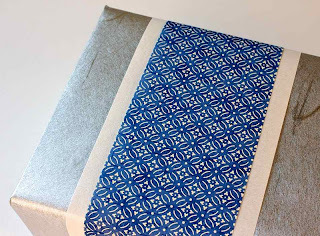 Top items everyone should keep on hand for wrapping? Your basic stock should include a selection of plain coloured papers and tissues, plain gift bags in a few sizes, several widths of various fabric ribbons, double-sided tape and two pairs of scissors (one for paper, one for those fabric ribbons so the blades stay sharp). With a basic kit like this you should be prepared to wrap a gift for anyone on any occasion at a moment's notice. However, it's all the extra stuff like toppers that make gift-wrapping fun. 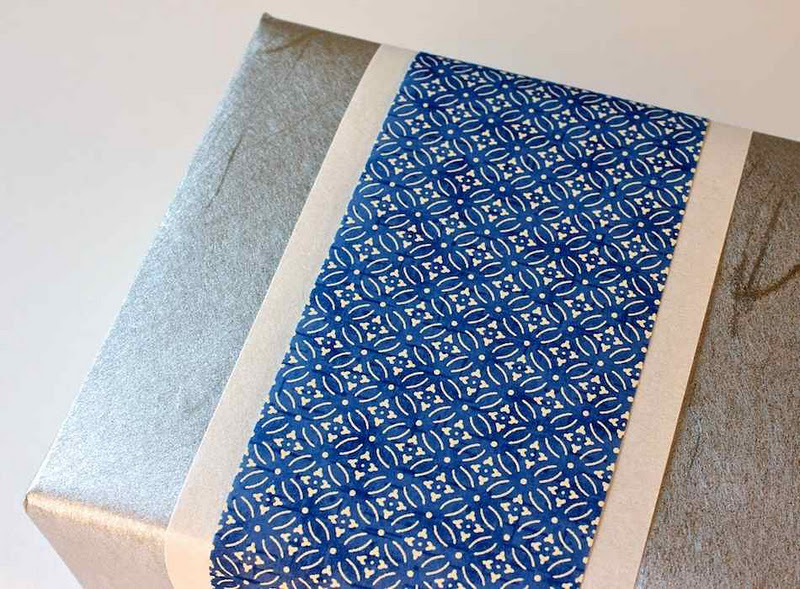 What can we use to wrap holiday presents without resorting to Santa printed gift-wrap? More and more it's becoming easier to find stylish holiday-themed paper, but if you're not in love with the patterns or you can't find anything nice in your area, you can still pull together something spectacular. 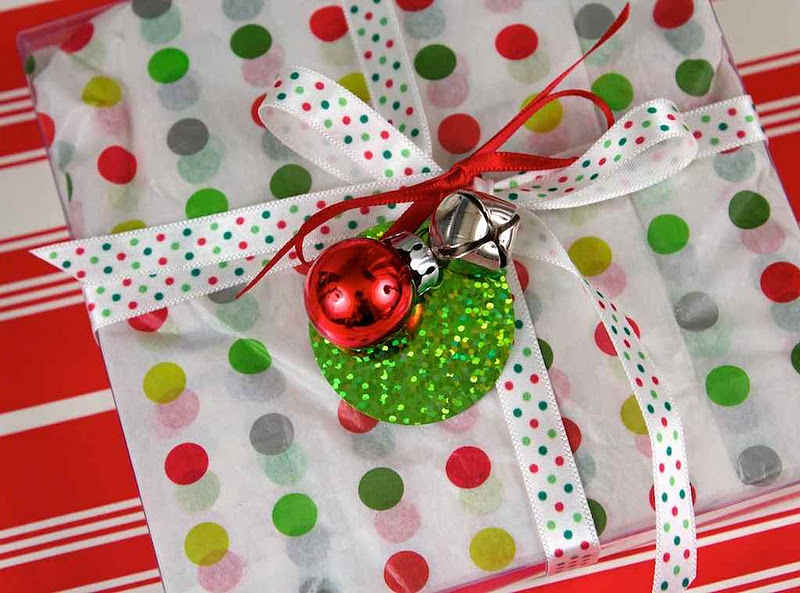 Even if you stick with plain paper, in red, silver or gold for example, you can really jazz up a gift by adding a few jingle bells or a tree ornament. 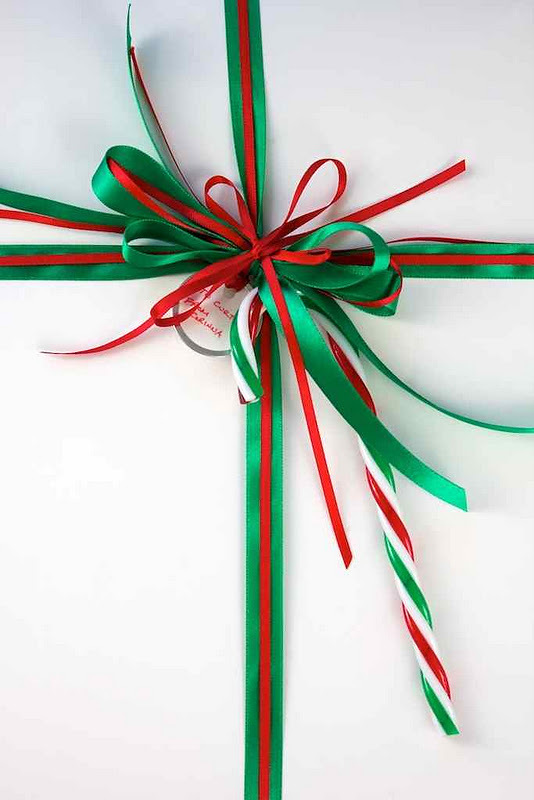 Corinna will be teaching a Gift Wrapping 101 class on December 7th at the Re:Style Studio in Toronto. For a complete listing of her current classes, visit http://www.corinnavangerwen.com/category/workshops/ and sign up for her gift-wrapping newsletter. 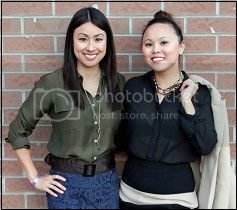 Thanks so much for featuring me on your site, HUG and Daniela! And thanks for the kind words, Lindsay! 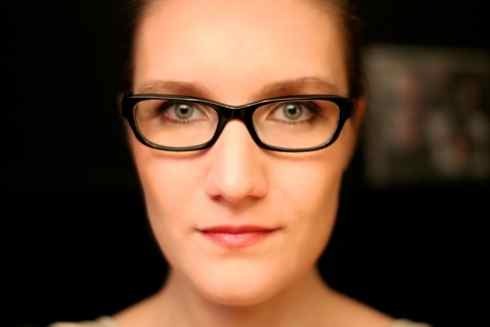 Great interview - I admire your perspective, Corinna!